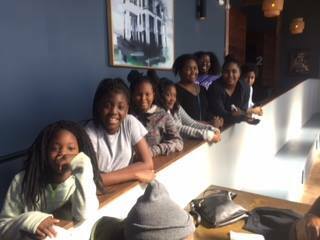 Since 2005, Operation USA has been a proud supporter of the Awesome Girls Program in New Orleans. Through this partnership, we’ve supported a variety of programs aimed at nurturing the girls, building resilience, and fostering life-affirming behavior–all while having fun and connecting with their peers. 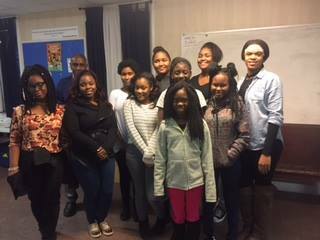 On January 29th, we were so pleased to send the Awesome Girls to a screening of the Oscar-nominated film Hidden Figures. The movie highlights “the incredible untold story of Katherine G. Johnson, Dorothy Vaughan and Mary Jackson – brilliant African-American women working at NASA, who served as the brains behind one of the greatest operations in history: the launch of astronaut John Glenn into orbit, a stunning achievement that restored the nation’s confidence, turned around the Space Race, and galvanized the world. The visionary trio crossed all gender and race lines to inspire generations to dream big.” Seeing this film was a fun way for girls participating in the program to see the success story of some amazing women and to be inspired to aim high in their own lives. Thank you to everyone who has donated to our ongoing domestic programs for making fun projects like this possible! Donations to our domestic programs make empowerment initiatives like these possible. Thank you for all you do to bring Operation USA’s mission to life.